In-game prompts only show default keys. 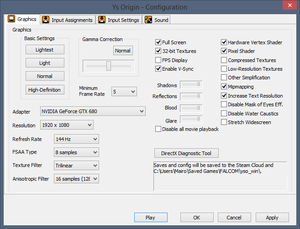 In-game settings. 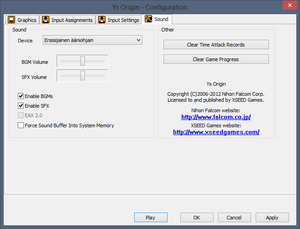 Few settings related to audio and input which are also available through configuration utility. Fan translation by «The Miracle». 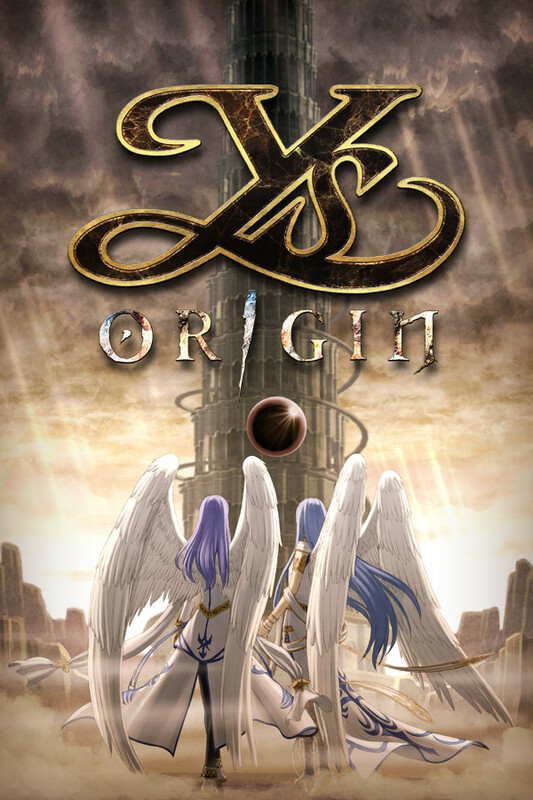 See also Helix Mod: Ys Origin. This can be caused by incorrect or incompatible DirectShow filters installed or configured on the system. 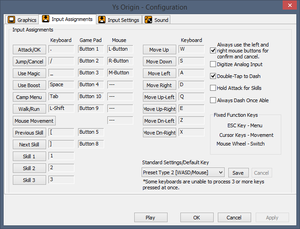 Select the game, Right-click on it and select Launch Configuration Tool. 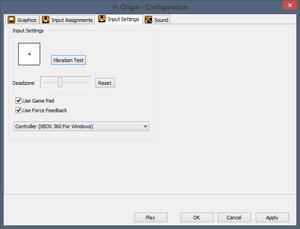 In the configuration tool, enable Disable all movie playback and click Play. The game should now be playable although movies (intros, anime-style opening, story prologue) will not play. 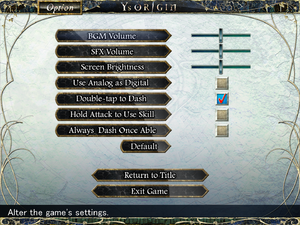 On modern systems the game may crash when the in-game menu is opened. Using LLA to patch the .exe solves the crashing. ↑ 1.0 1.1 File/folder structure within this directory reflects the path(s) listed for Windows and/or Steam game data (use Wine regedit to access Windows registry paths). Games with Steam Cloud support may store data in ~/.steam/steam/userdata/<user-id>/207350/ in addition to or instead of this directory. The app ID (207350) may differ in some cases. Treat backslashes as forward slashes. See the glossary page for details. This page was last edited on 15 April 2019, at 02:51.